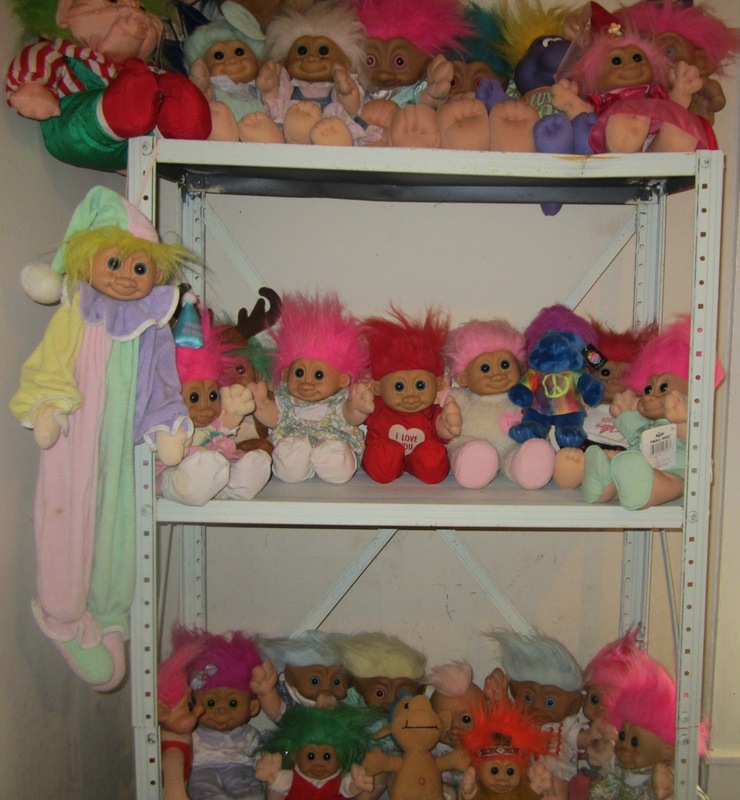 I found these trolls a few weeks ago at the yard sales. The lady remembered me from her last sale quite awhile ago and said she saved them for me and told me she was hoping I'd show up. She called me, "The Troll Lady". 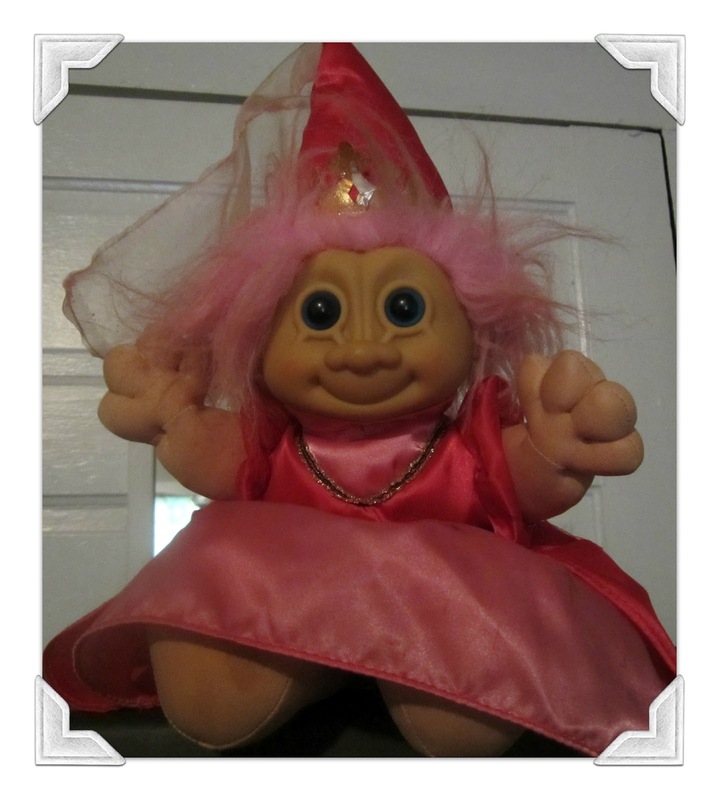 Not exactly my ideal nickname but definitely sums up my troll collection addiction. These are 2005 Dam trolls. 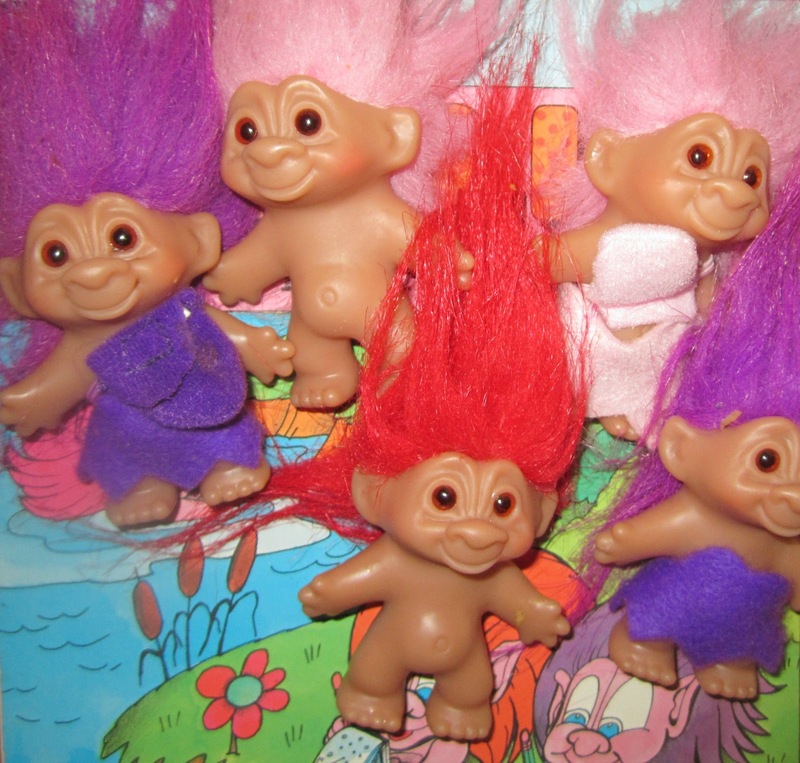 I know what you're thinking but don't fret...I'll keep collecting trolls until I stop breathing. There is always somewhere to stick them. 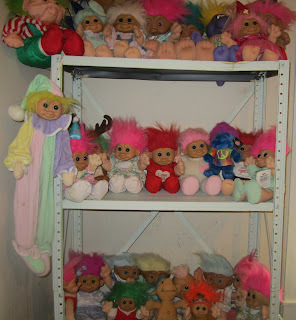 I'd fill every nook and cranny of my home with them if I find that many. 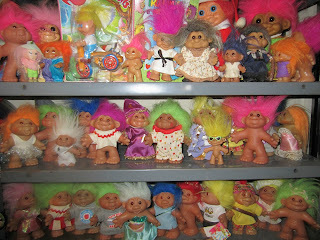 So keep checking in for more troll finds. What can I say...they make me happy. Have you ever noticed that each and every one of them has a bright smile on their faces?